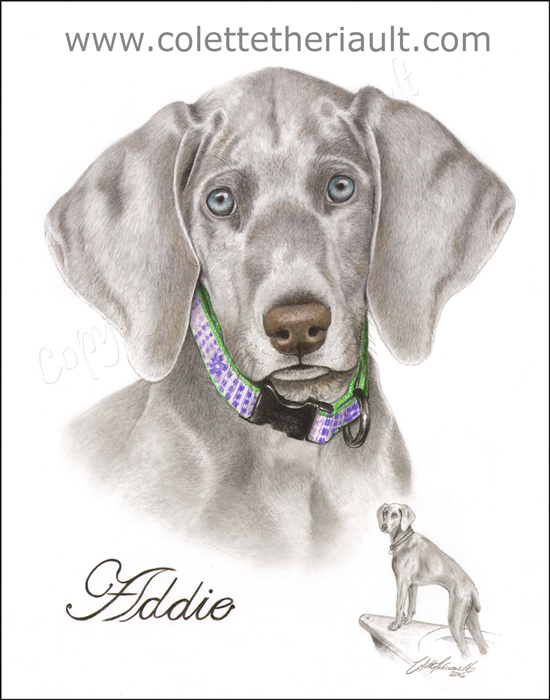 This custom dog portait was commissioned to commemorate the life of Addie. The client wanted to to remember her when she was a playful healthy puppy but also did not want to forget her aristocratic good looks as an adult. A full body vignette drawing was added on the bottom right corner which blalances nicely with her name on the opposite side.